The study was approved by the Institute's ethical committee. Asthma. (Factsheet No 206). Geneva: World Health Organization; 2014. Available from: http://www.who.int/mediacentre/factsheets/fs206/index.html. [Last accessed on 2017 Jan 18]. Gupta M, Bhargava R, Sharma BS. 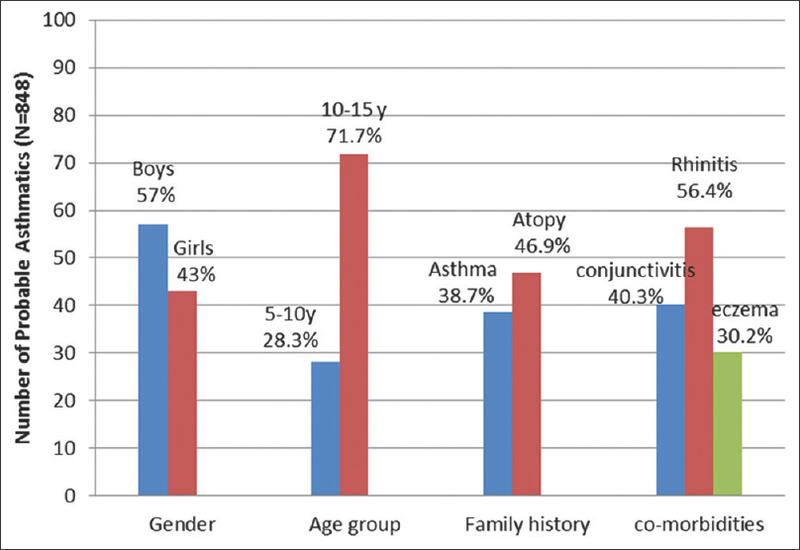 Diagnosis and management of childhood asthma: How far we have reached? A survey of pediatrician's knowledge, attitude, and practices from Rajasthan. 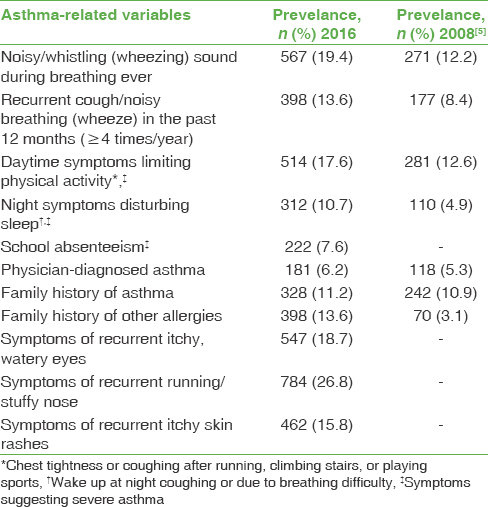 Indian J Allergy Asthma and Immunol 2015;29:14-7.